Carmel working on some Kettlebell Swings after class!! So cute & focused, she takes after her momma! 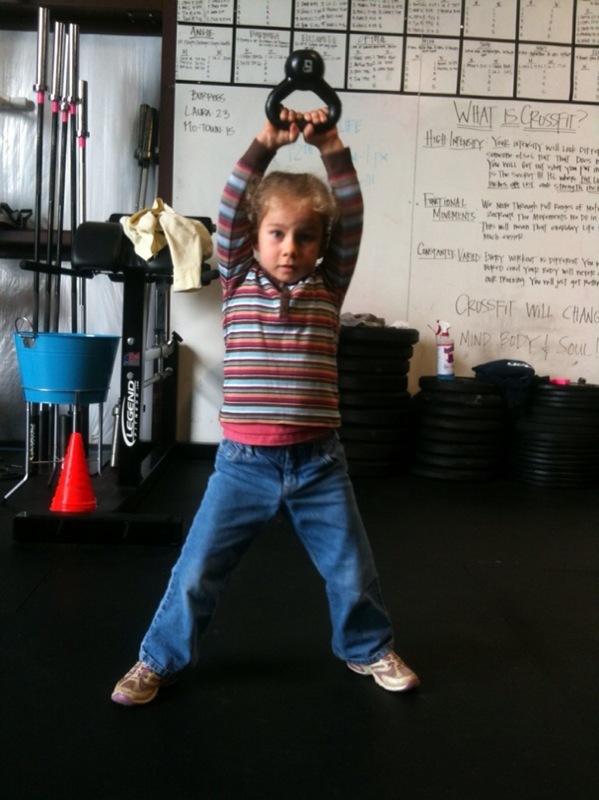 CrossFit The Den is a human performance facility located in Medford. We offer personal training and are devoted to the improvement of overall fitness and the restoration of functionality. The background of our clientele is diverse; fitness needs differ only by degree, not kind. Crossfit’s programming encompasses all fitness levels; from elite athletes to grandfathers; from housewives to anyone just getting started. If you feel like something is missing in your workouts, look no further. Give us a call to schedule your complimentary session and find what you’re missing.